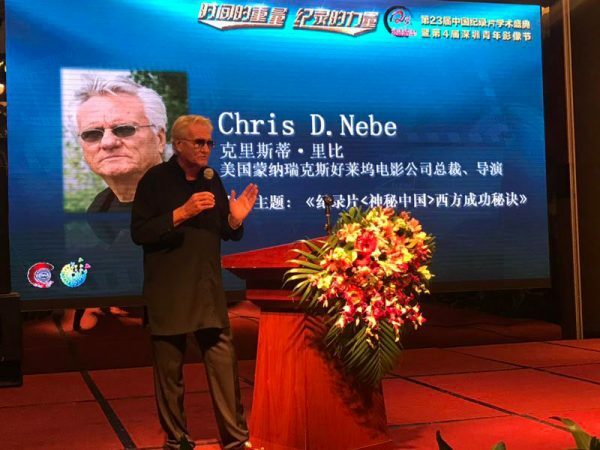 Chris Nebe has been in China for two months, developing projects and delivering speeches at events. Monarex has feature films (historical epic / thriller / dance film / animation) and a number of new documentaries on the horizon in 2018. In addition, Chris gave a number of speeches to different events around China. 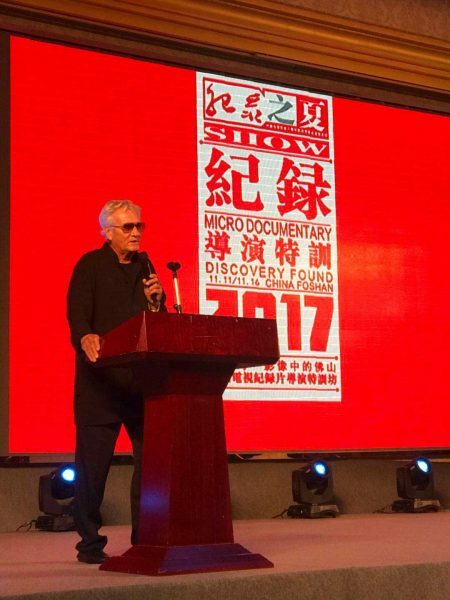 Chris was a speaker at the 23rd Chinese Documentary Festival in Shenzhen on November 9th, 2017, explaining the process of making documentary films. In particular, he emphasized the importance of research, which in China is more challenging than outside given the language and technological barriers that still exist. 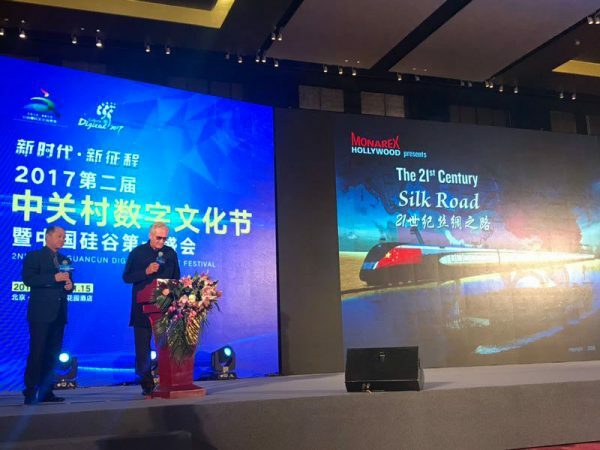 On November 13th, at the Digital Silk Road Beijing Summit, Chris addressed the importance of the Belt & Road Initiative (the New Silk Road). It is anticipated to create a market place serving 60% of the global population, reaching from the shores of the East China Sea to the Atlantic Ocean in Europe & Africa. Time will tell how effective the ambitious plans are. In another speech he encouraged young film students to follow their dreams and make films that are meaningful at the MICRO FILM FESTIVAL in FOSHAN. 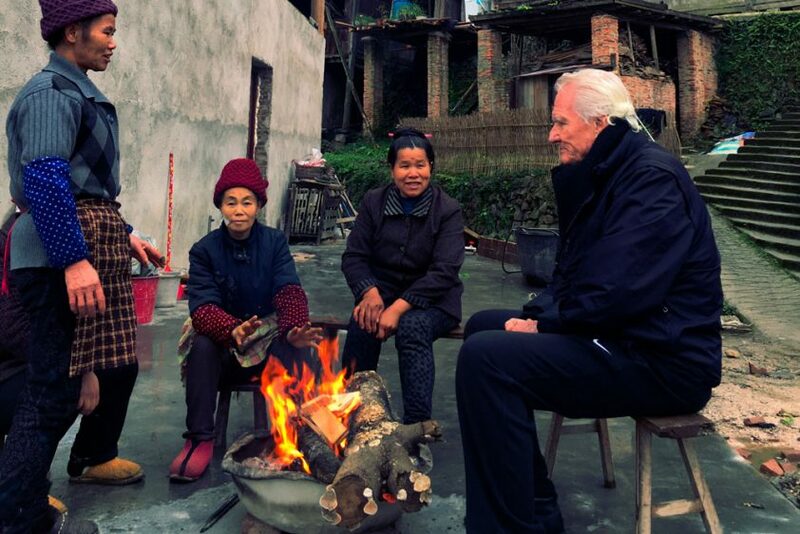 Creativity needs to be encouraged in China, and with a boost from Chris, perhaps these young filmmakers will take some chances and pursue a dream that nobody else has thought of yet. On November 24th, at the GREAT HALL OF THE PEOPLE, the delegates of the China International Culture & Entertainment Industry Summit asked Chris to speak about “crossover movies” for a global audiences. These are challenging projects to make given the significant cultural divides that exist between the east and west, yet there are avenues that can work. A thoughtful, human story that transcends nationality is a good starting place. From there, we can build out to more extreme themes of action and drama. Comedy can work, but is one of the most culturally sensitive genres of film and is a Holy Grail of sorts. Thanks for keep up to date with Monarex. Check back again soon to see what develops in 2018!